Who are Car Repair Shops’ Biggest Competitors? Patti Renner returns to Babcox Media as editor of Tire Review. 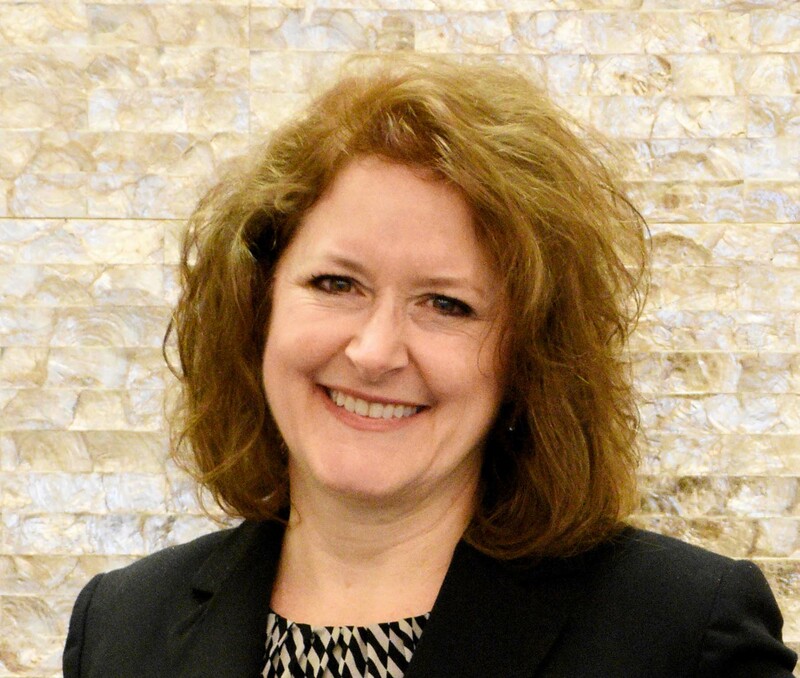 Since leaving Babcox in 1997 (former editor of Underhood Service), she owned and operated a chain of specialty retail shops, worked with small businesses on their online marketing approach, and served as VP Marketing North America for a global marketing technology company. A graduate of The Ohio State University with a degree in Journalism – Public Relations and native of Akron, Ohio, Patti is the third generation of her family to work in the tire industry – both parents, her brother and three grandparents were longtime Goodyear, General and BFGoodrich employees, so the tire industry is in her blood. 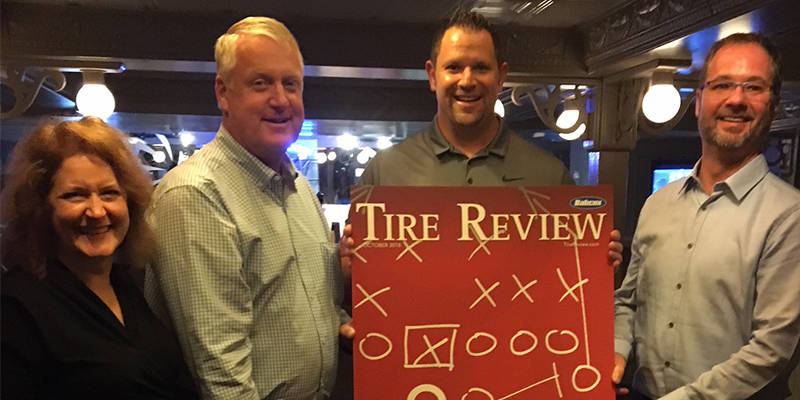 One of the perks of making it to the Final Four in the Tire Review Top Shop competition, sponsored by Coats, is the opportunity to participate in the exclusive Top Shop Event for a few days in Nashville, part of the awards package. This year, top tire dealers from across North America gathered at the Opryland Hotel. The event is like a homecoming of the nation’s best dealers, invited to come together for three days of education, networking and fun. In addition to announcing the Top Shop Winner and the “big reveal” where the cover design for the October issue is released, attendees also take part in an open, roundtable discussion, sharing what’s working, what’s not working and what each dealer sees as the future of our industry. The outcome: the best get even better. Here are a few of the highlights and lessons from the conversation. A common question is whether or not a retail tire business should be open on Saturdays and Sundays or even available during the lunch hour. Chris Monroe, owner of Monroe Tire and Service in Shelby, North Carolina, recently changed his approach and now does a “soft close” at lunch so everyone can take their lunch break at the same time instead of staggering shifts from 10 a.m. to 2 p.m. An “anchor person” mans the desk while the team is at lunch. The practice has actually helped boost morale as people get to have meals together. Scott Welsh, owner of Courtesy Auto Service & Tire of Tacoma, is closed on the weekends. But before he made that decision, he analyzed the transactional data by day of week and found that even though they were “busy” on Saturdays, the jobs performed were not very profitable. His Saturday customers got a phone call before the decision was made to see if they would, in fact, be good with scheduling on a weekday instead in the future. The majority of the people were fine with it and thought it was great that the business cared so much about its employees’ work-life balance. The change caused only a temporary decrease in weekly revenue, which was soon recovered once customers got used to the new hours of operation. He said it’s also worked well as a recruitment tool. Craig Wortham, of Alyeska Tire with multiple locations in Alaska, says that keeping employees up to date on training and product information is increasingly important. With today’s consumers being so much more educated – in some cases doing hours of research online before a tire purchase, Wortham says, “It’s like they’re studying for a test.” As a result, your employees could be caught off guard by certain questions asked, so making product training a priority is an oft-overlooked essential to a positive customer experience. Marty Schoenthaler of Tate Boys Tire & Service agrees, saying that the priority in the future will also be on breaking the person’s relationship with the new-car dealer. He chuckles, saying that his own vehicle is so well programmed that he often that hears from the car company almost as often as he hears from some family members. Tony Johnson of Eagle Tire Pros in Jacksboro, Tennessee, makes use of a copy of the Magnuson-Moss Warranty Act to share with customers and to clarify common misconceptions related to who can perform vehicle service as it relates to a vehicle’s warranty. Courtesy’s Welsh uses Google tools to combat the “in your face” tactics of new-car messaging. “Google is like gold on the internet,” he says. In addition to making sure your Google page is optimized, you also can take advantage of the text message capabilities available through your Google page listing. It can be managed through an app on your phone called “Allo” (https://allo.google.com/). After testing it out for his shop, Welsh says it’s allowed him to connect and communicate with people he might otherwise not have seen. (Simply log onto your “Google My Business” dashboard, select “turn on messaging, then enter your phone number. Once activated, the “Message” or “Ask a question” icon will be included on the listing when people search for your business.) Welsh says not a lot of businesses are using it, so it can help your shop stand out by adding the convenience. He also uses Yelp messaging tools. He also gets an email address from every customer and uses email marketing to keep them engaged in a positive, non-salesy way. He says it’s easy to win over car dealerships when you make it less painful for people to do business with you. “Save them money, make it less painful, and do it in quicker time,” he says. For Tire Source of northeast Ohio, owner Tom White says that 79% of his business is based on repeat customers. One of the incentives to keep people coming back is through targeted database marketing. “One thing we do that’s different is that our oil change pricing is always lower for our existing customers. When they come in with two coupons, the existing customer offer will always be the better deal, and that’s the one we use,” White says about one of the ways the business rewards loyalty. “The oil change service has been such an abused thing in our industry and if you think about it, we let our least talented person do practically the most expensive – meaning if something goes wrong – part of the job,” White says. Wortham agrees, saying that Alyeska has increased the price of their oil change services and now more experienced technicians perform that work. He said it wasn’t easy at the beginning when dealing with the egos and the shift in back-of-shop culture, but in the end, the customers appreciate it. By the end of the discussion, it was obvious that it is, indeed, a great time to be in the tire business. “The encouraging thing I’m hearing in all this, and listening to the main theme of what’s being said is that the independent [tire dealership] is not dead. We’re not stupid. We’re not wearing our hat sideways. We don’t have a ‘goober rag’ hanging out of our back pocket. We’re actually paying attention,” says Monroe. “We’re small boats and we can move fast and make [necessary] shifts. This needs to be heard and pushed out because I think so many guys read the news and [worry about] the tire market share of the car dealer, and what Discount Tire is doing. This is actually very encouraging. Ready to get involved? Stay tuned to the Tire Review newsletter (go to www.tirereview.com/subscribe) for regional dealer meetups in 2019, and be sure to nominate your favorite independent tire dealer (even if that’s you!) for our 2019 Top Shop competition to win access to the National Top Shop Event, September 17-19, 2019 in Nashville. Go to www.tirereview.com/topshop to access the nomination form and details on past winners and finalists.